Shares in Erdene Resource (TSX:ERD), one of the very few companies that has successfully navigated Mongolia’s ever-changing policies on foreign mining investment, were off to the races on Thursday after the miner bumped up mineral resource estimates for its Altan Nar gold-polymetallic project in Mongolia. The Canadian miner said indicated and inferred gold equivalent resources had increased by whooping 208% and 172% respectively, when compared to the project’s maiden mineral resource estimate in 2015. The Halifax, Nova Scotia-based firm noted that gold grades improved by 18% in the indicated category, and 13% in the inferred one, while inferred gold equivalent grades jumped by 12% in the indicated category, and 19% in the inferred one. Indicated and inferred gold equivalent resources increased by whooping 208% and 172% respectively, when compared to the project’s maiden mineral resource estimate of 2015. “We are extremely pleased with the significant increase in size and grade of today’s Altan Nar Resource and believe it will be an excellent complement to a Global Resource Estimate expected in Q3-2018 incorporating our near-surface, high-grade Bayan Khundii gold project, 16 kilometres to the southeast, where drilling continues,” Peter Akerley, the company’s president and chief executive said in the statement. Shares in Erdene jumped on the news, trading 2.63% higher at 39 Canadian cents at 9:36 AM E.T, still a long way off from the Cdn$1.35 they closed at in May last year. Akerley highlighted that about 90% of the mineral resource is located within 150 metres of surface, with all zones open along strike and at depth, which reflects the fact that no modern exploration took place in the area prior to the Erdene discoveries. The executive also said that while the project has expanded significantly, it remains an early-stage discovery with multiple untested targets over the 5.6-km Altan Nar trend. This, together limited drilling at depth, he said, means there is potential for additional gold-polymetallic resources. 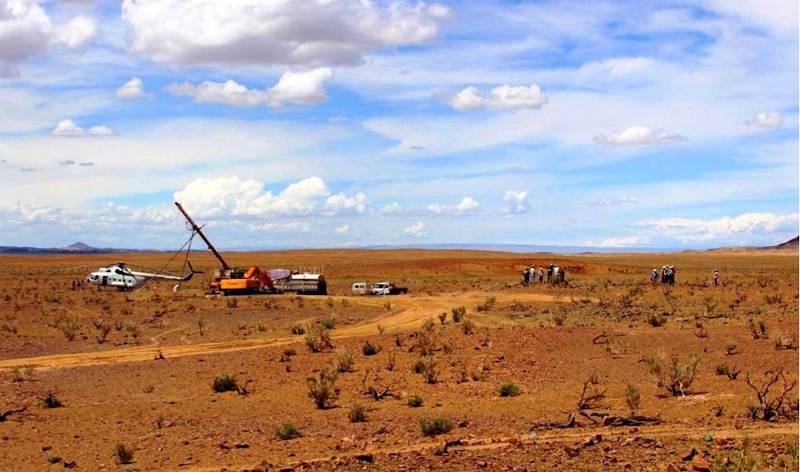 Erdene began working on its Altan Nar (meaning Golden Sun) gold-polymetallic project in the Tien Shan Gold Belt in 2012, at a time when other miners were struggling to achieve agreements with the country’s shifting policy makers. In 2015, it announced a maiden resource estimate for the asset incorporating results from 71 diamond drill holes totalling 10,819 metres. Subsequently, between Q3-2015 and Q4- 2017, the company completed an additional 51 diamond drill holes totaling 7,782 metres. Data from these additional holes are included in today’s updated mineral resource estimate, Erdene said. The enthusiasm peaked in 2011 when the land-locked nation’s economy grew 17% or the fastest pace on the planet. It went downhill since, with a slight recovery in the past two years as the country stepped up efforts to attract international investors, who can provide foreign direct investment to help Mongolia to meet the terms of its IMF bailout deal.